Last month we surveyed our HappyMD community on a number of physician burnout and stress in healthcare related questions. Thank you for your participation and here are the results. I am personally fascinated by your answers about your anticipation of stress and burnout being an issue, the frequency of job changes due to a toxic workplace and being labeled “disruptive” for raising a legitimate quality concern. 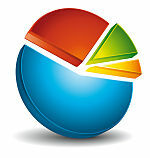 You will find all of that and more in the pie charts and word clouds below. 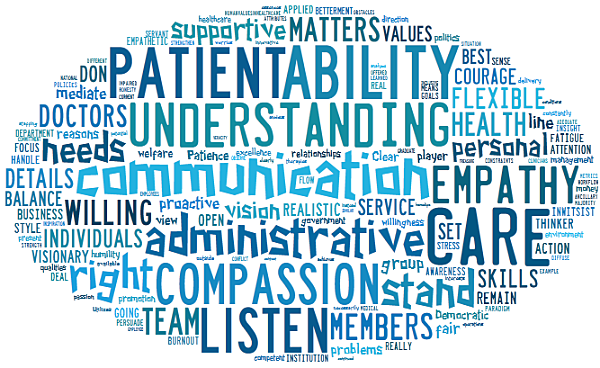 Our community members wrote thousands of words in response to the physician survey questions. To give you the gist of their responses, without overloading you or compromising confidentiality with the full answers, I have summarized them as pie charts and word clouds below. In a word cloud, the size of the word represents the frequency with which it was used in the pooled answers to the question. What is the one aspect of your work and/or life you find the most stressful right now? There were many different “flavors” to this answers … sometimes in long ALL CAPS venting. 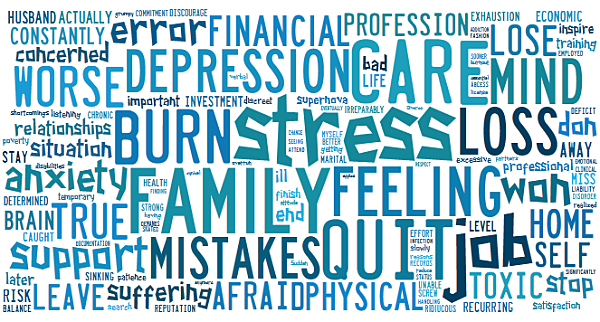 Here is a word cloud that captures the feeling of overwhelm and too many plates spinning most respondents are feeling. When you were in training, did you know this was going to be a major stressors or is it a surprise that this is such a challenge to you now? We didn’t see it coming and are getting hammered out of a blind spot. Several answers down you will see a partial explanation of how a bunch of smart people like us could get caught by surprise. What are you concerned might happen if you don’t get this handled? Lots of different flavors to these answers too and quitting, making mistakes or saying something hostile to the boss and getting fired are three of the most common fears. 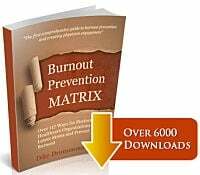 Have you ever received training in stress management or burnout prevention? Hmm, could this be one of the reasons we don’t see burnout/stress coming down the road? 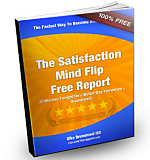 Has stress, burnout or a toxic workplace ever caused you to to quit a job and find a new position? That’s 58% of you either quitting or thinking about it because of a toxic workplace! 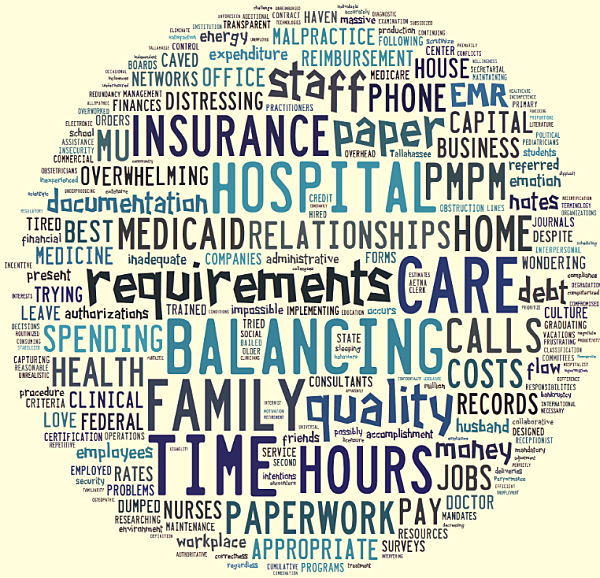 Have you ever been labeled as “disruptive” for bringing up a legitimate patient care concern? There’s 40% of you being labeled disruptive at least once. I am staggered by that number. You? 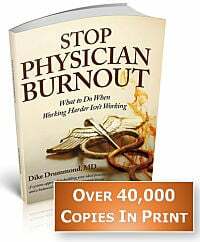 What percentage of your physician colleagues in you current position would you say are burned out at the present time? 75% of you feel that at least 25% of your colleagues are burned out at the moment. We know what we want in a leader. I sincerely hope your immediate supervisor has these qualities. If you have any questions about the physician survey, the results or about your own personal situation, contact me here. What surprises you the most – or doesn’t surprise you at all – about these physician survey responses?